The screenplay for the movie was written by Liz Hannah (Skin, Guidance) and Josh Singer, who co-wrote Best Picture winner Spotlight, The Fifth Estate, and episodes of The West Wing, Lie to Me, and Fringe. Singer also penned the screenplay for First Man, the Neil Armstrong biopic starring Ryan Gosling and directed by Damien Chazelle (La La Land, Whiplash). 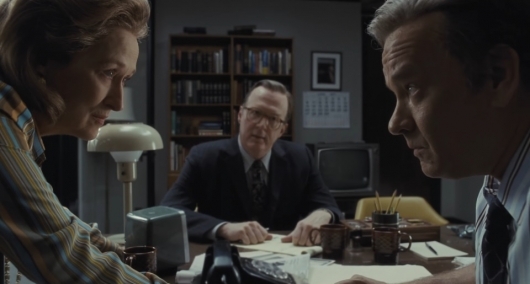 The Post is set to be released on December 22nd. If Ready Player One was still in its original release date, it would have meant two Spielberg flicks in back-to-back weeks. That movie, however, was moved to March of 2018 to steer completely clear of Star Wars: The Last Jedi completely. Which makes plenty of sense.